NOW supports 3DS at 3200MT/s! 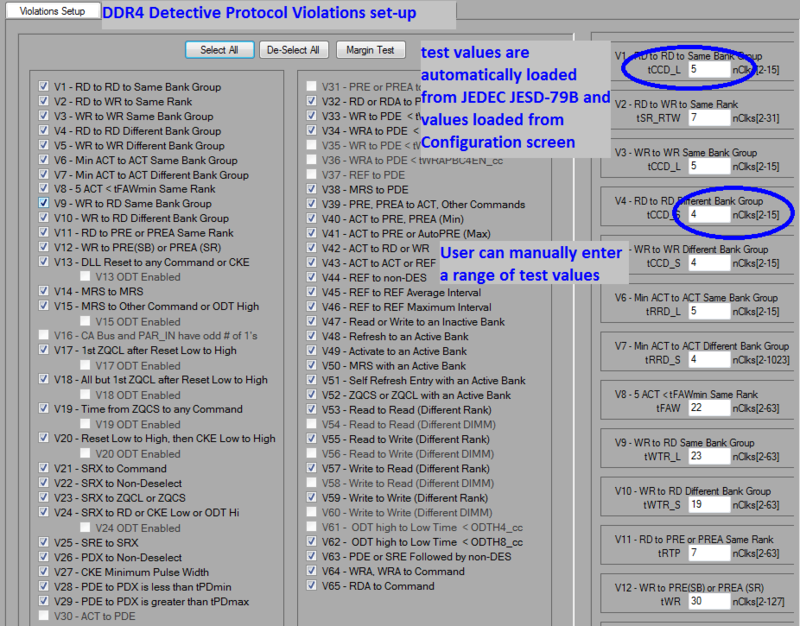 Continuous Capture for Violations and Performance metrics NOT a fill memory and then post process like other tools. This is a FuturePlus ONLY feature! 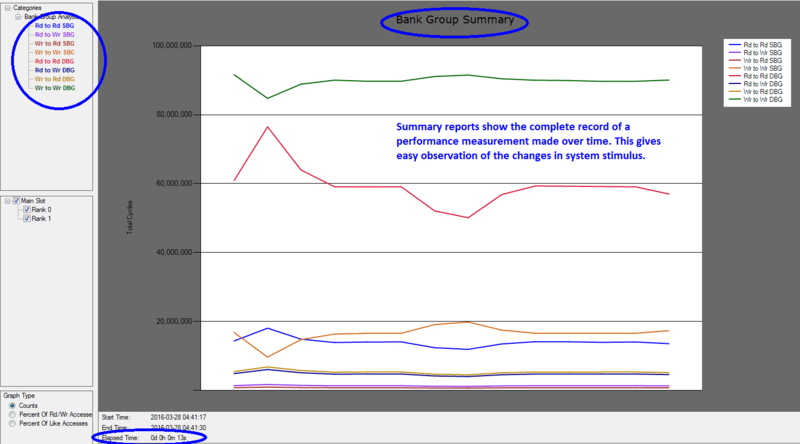 Interactions among up to 8 ranks, over two slots are analyzed. 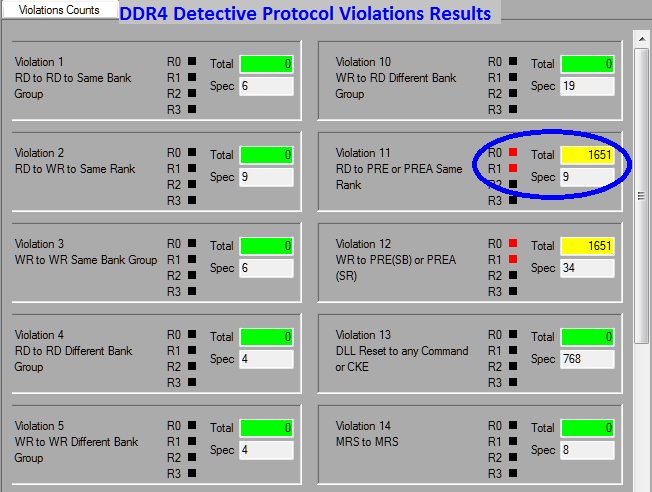 Final MRS values are automatically loaded into protocol analysis tools. 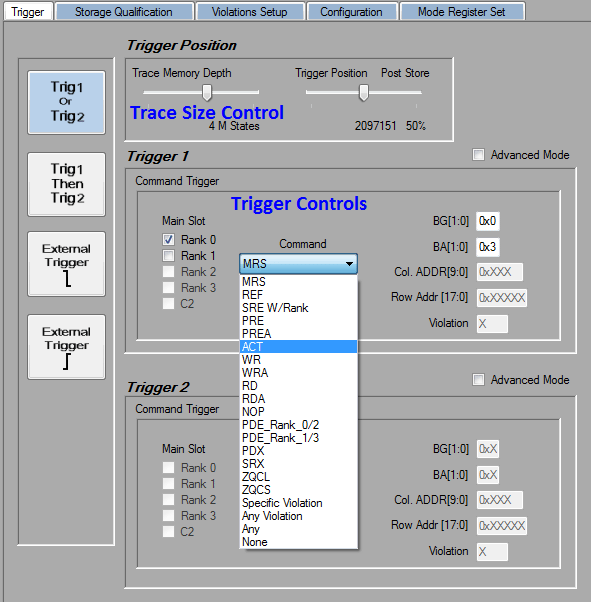 Full control of Trigger Position from 5% – 95% Post store. 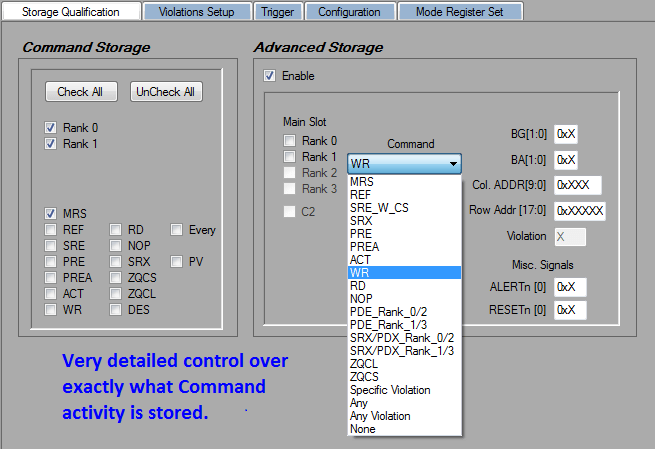 2 level (Or/Then) address/command triggering. External Trigger In. 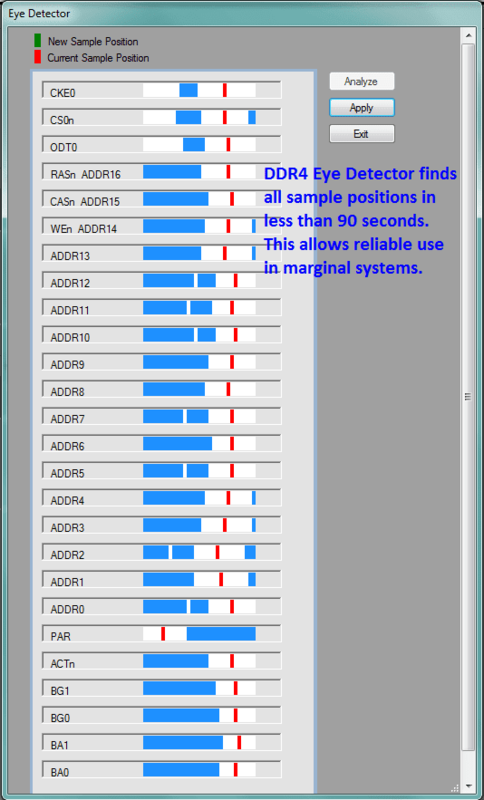 Real Time, All The Time Continuous Analysis of the DDR4 memory bus. 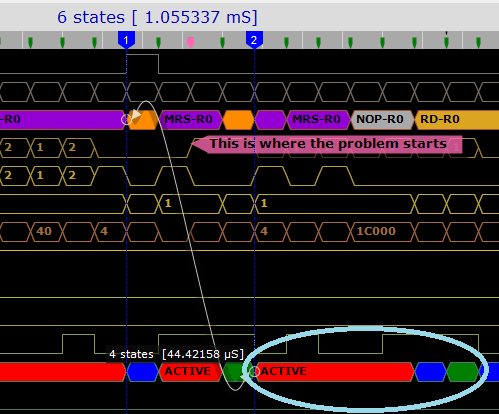 Competing products capture a miniscule amount of DDR traffic, count the events in the trace and then display. 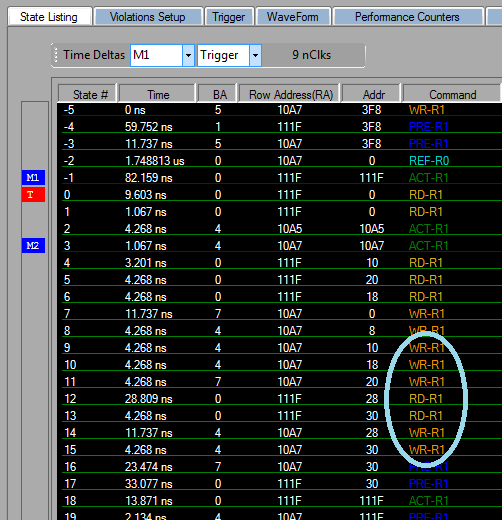 Deadtime between traces and limited trace depths give only a small sampling of actual DDR events. 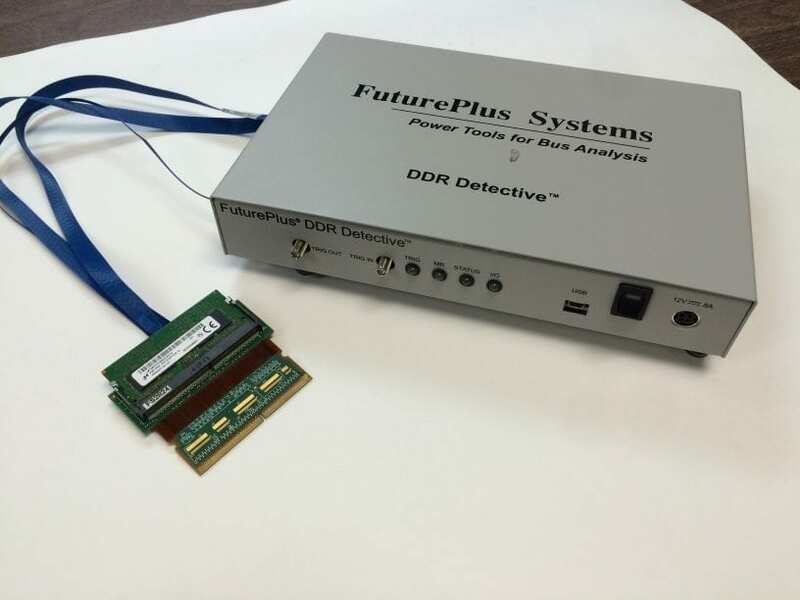 The DDR Detective use new breakthrough architecture to accumulate events on EVERY cycle! Thus no bus events are missed. 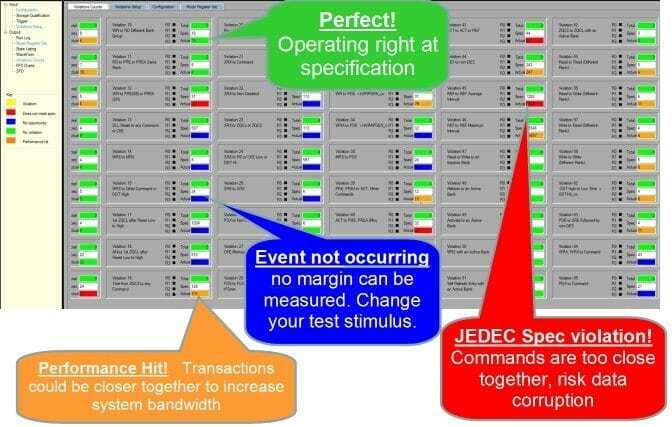 This never been done before feature gives unprecedented insight into DDR bus activity for validation, system architects, software engineers and designers. 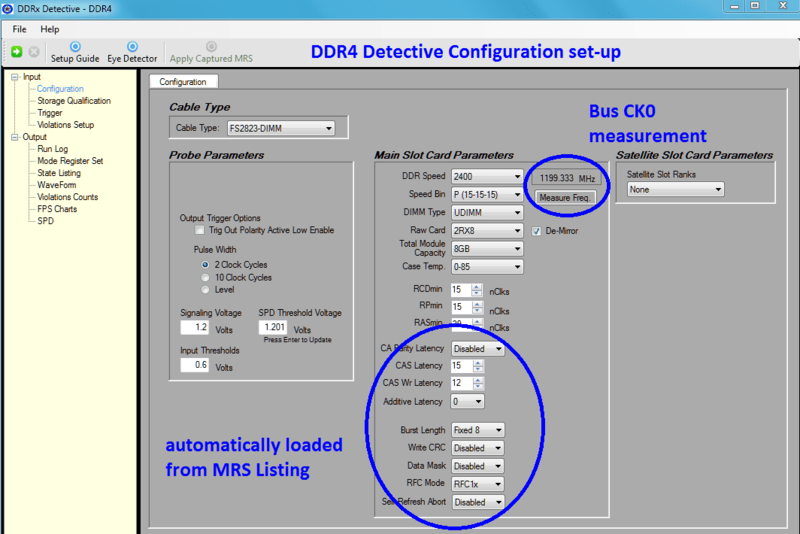 Bus Command Utilization Analysis – Verify expectations of traffic, show potential hotspots. 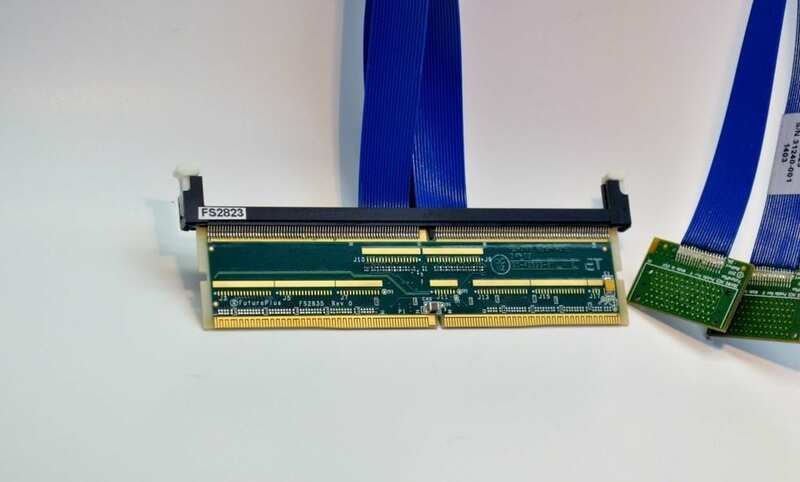 Choose any DDR4 Command from any bank, bank group or rank. 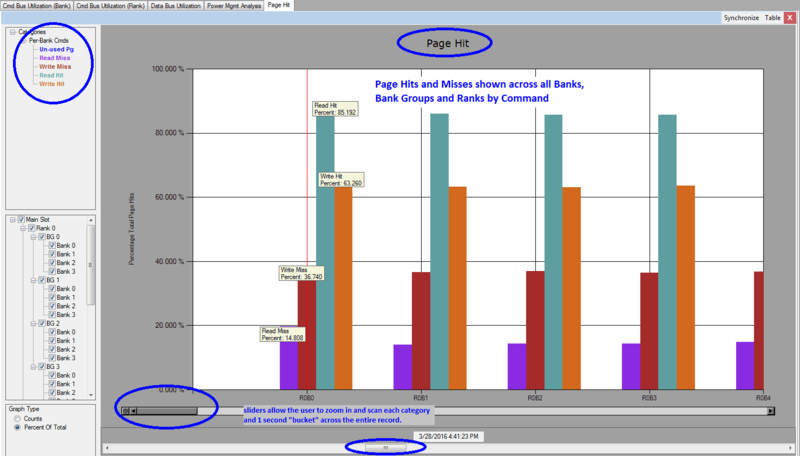 Page Hit Analysis – Tracks Hits, Misses and Unused for all pages. Viewed by bank, bank groups, or rank. 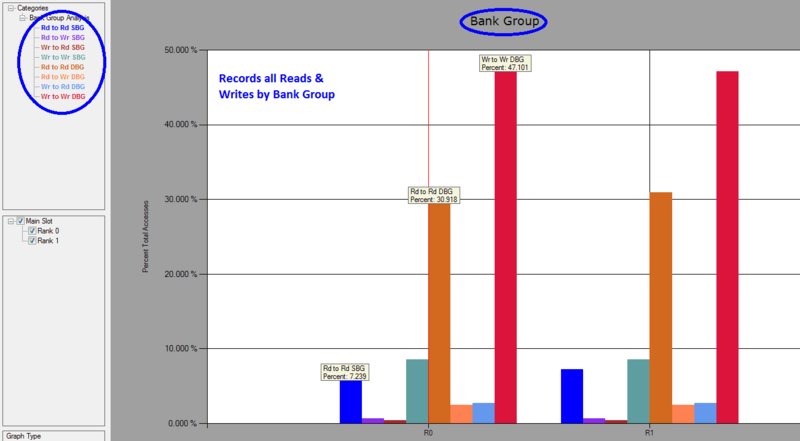 Bank Group Analysis – Tracks all combinations of Read and Write commands to same and different bank groups. 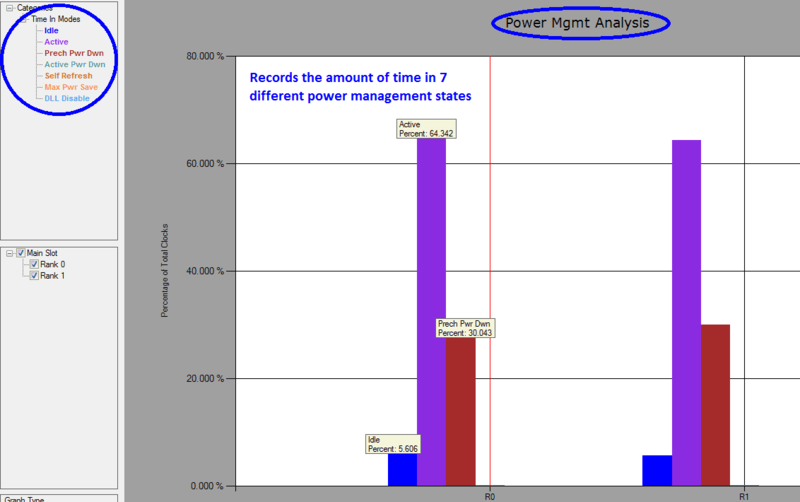 Power Management Analysis – Follows memory in and out of Power Management states, tracking all related Power Management commands and the total time spent in those states. Multiple Open Bank Analysis – Reporting open banks allows the user to see how many banks are open simultaneously each second. This isimportant for power consumption as open banks consume power. 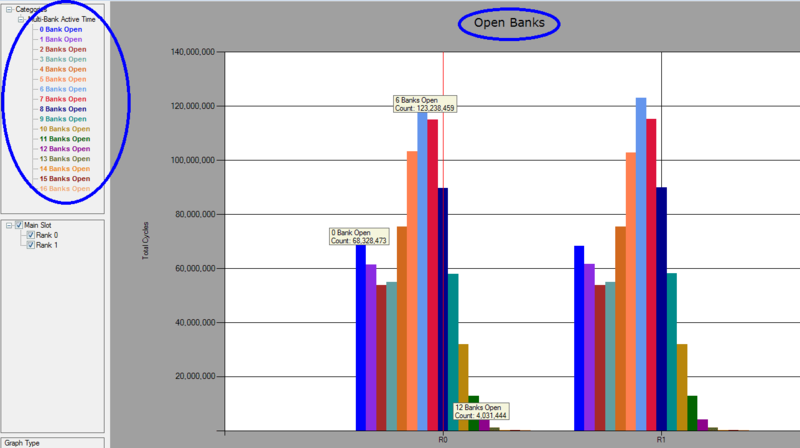 Bank Utilization Analysis – Can select by bank or bank groups to show how long an individual bank is open. This is useful in detecting system errors such as excessive activates. Data bus Utilization Analysis – Bandwidth analysis by bank or rank for all comands affecting the data bus. 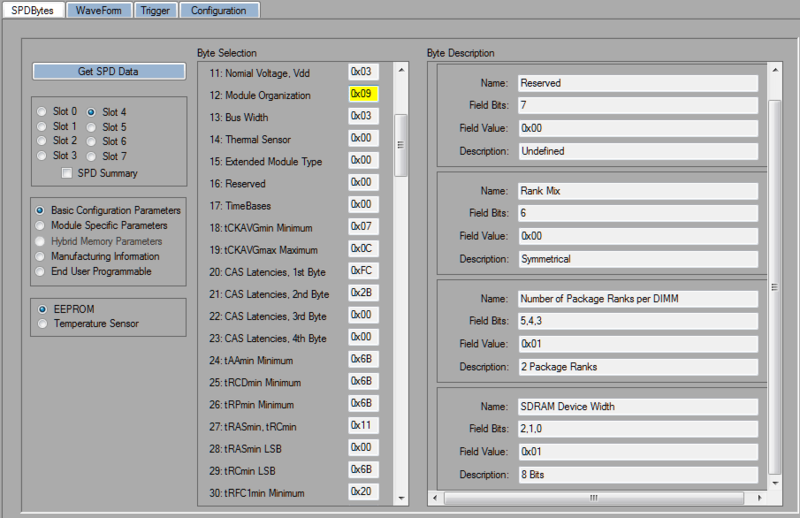 Bus Mode Analysis – Useful for tracking system states (Reset, Idle, Active, Precharge PD, Active PD, Max PD, SRX, DLL Dis/Enable, Write Leveling, MPR mode and Vref Training). 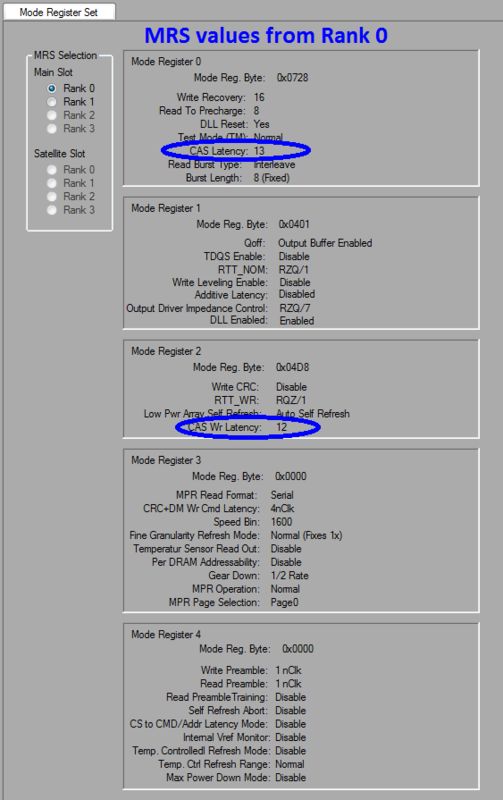 Can help identify why a system is not booting, or lead to optimization for faster boot times. 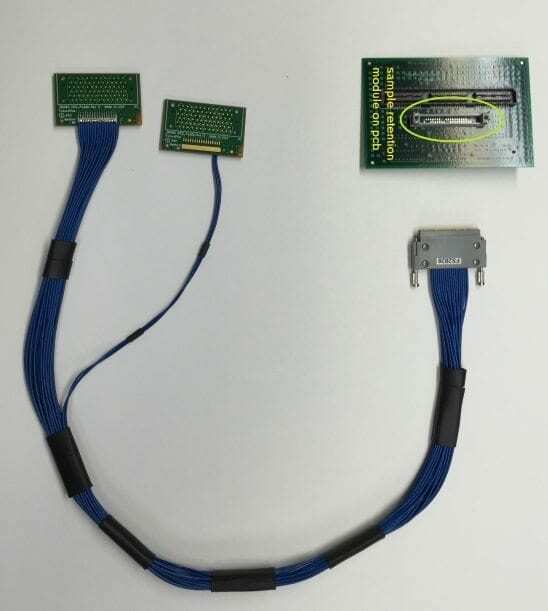 All 4 technologies DDR3, DDR4, LPDDR3 and LPDDR4 in one box with interchangeable probing choices! The DDR Detective® gives the phrase ‘cost effective’ new meaning! Interposer design saves a slot. 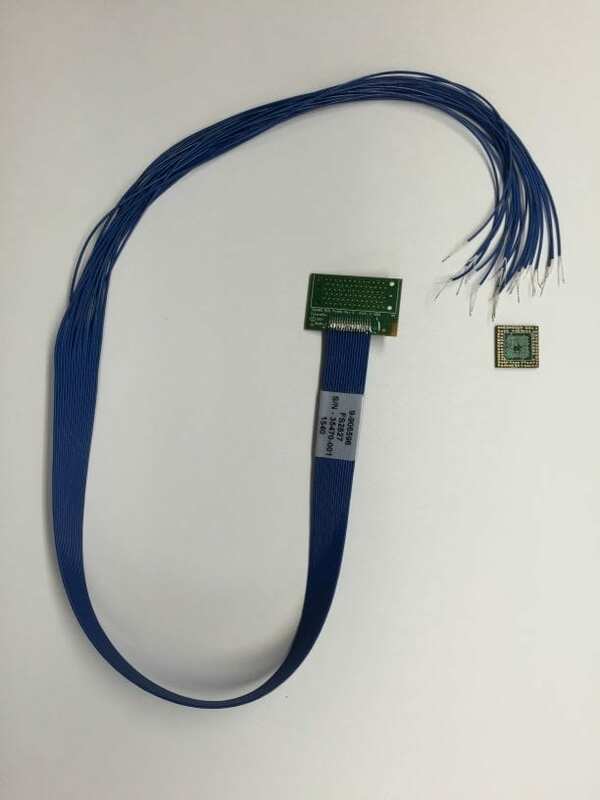 Rigid/flex design allows for use in both RVS and STD connectors.